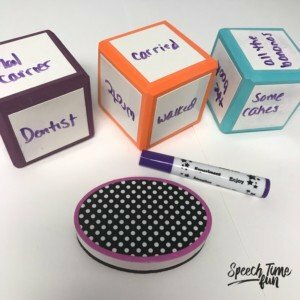 You got dry erase dice on Amazon or at the dollar store…now how can you use it in fun ways in speech?! 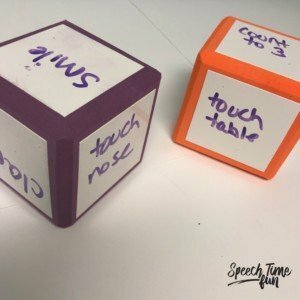 I love using dice in speech…rolling them just makes any activity hands on and fun! Add dry erase to it…woah the amount of goals you can address! I am going to share with you several ideas so you can easily target a variety of goals without a ton of prep (who has time for that?!). Want to grab dice like mine? 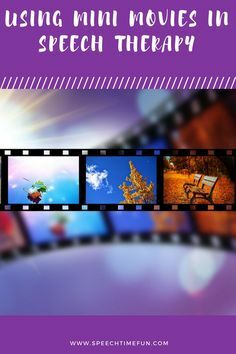 You can use the Amazon affiliate link provided at the end of this post! 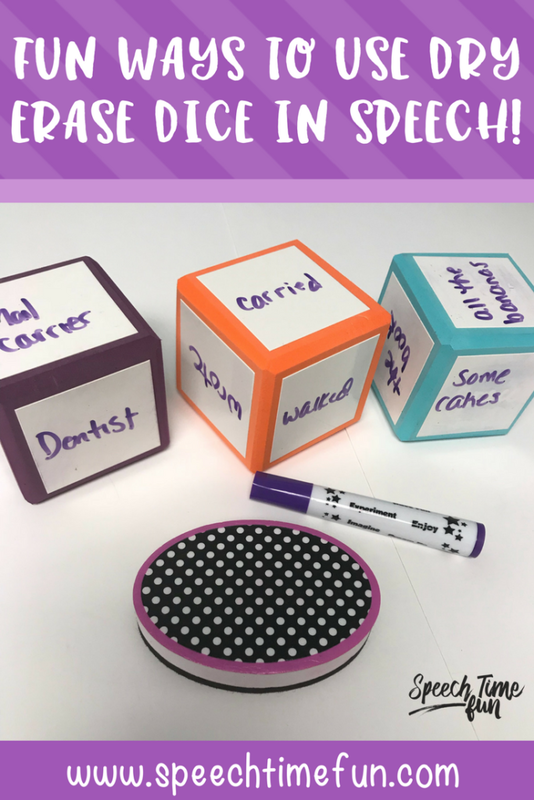 You can easily write simple sentences on each of the dice and students can roll to combine them using conjunctions! 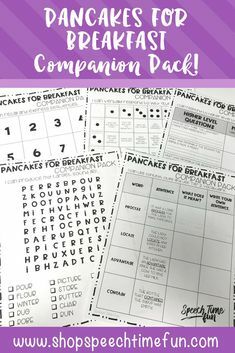 You can work on one conjunction at at time or practice identifying when to use each! 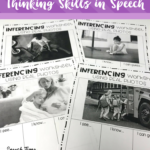 CLICK HERE to learn more about how I work on combining sentences! Each dice can represent a part of a sentence “who” “did what” and “with what”. 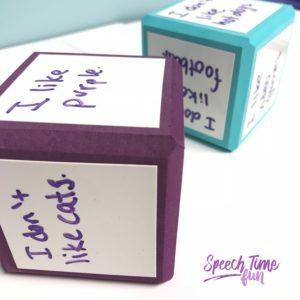 Students can roll to create silly sentences! As you can see below I even stuck with one verb tense to also work on that as well! 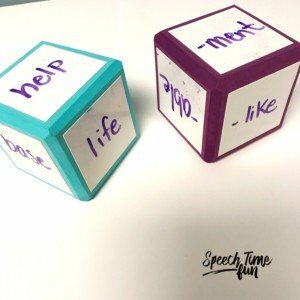 I threw in regular and irregular past tense verbs! 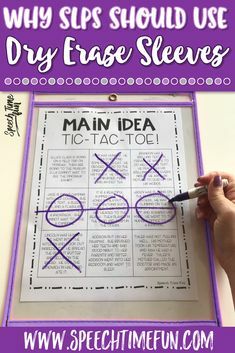 Students can even express why the sentences are silly and then create their own using that sentence structure! 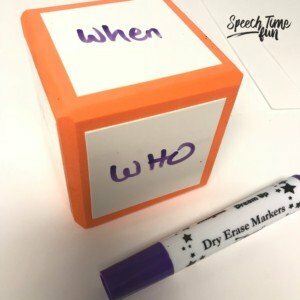 Want more ways to work on creating simple sentences? CLICK HERE to read another blog post all about it! 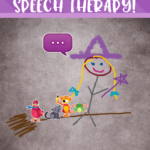 CLICK HERE to read about how I use visuals to teach creating sentences! Just roll to know what to do! Add more dice to add more steps as needed! Move around and be silly! Just roll to get a question with a various question form. 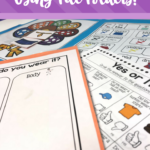 You can do this when students are ready to practice differentiating between the different question forms. 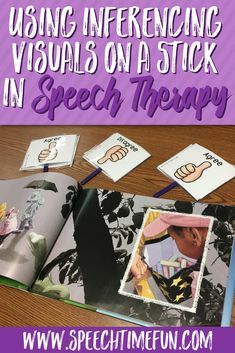 You can also use this idea with any storybook or text so that students can roll to pick the question they get! 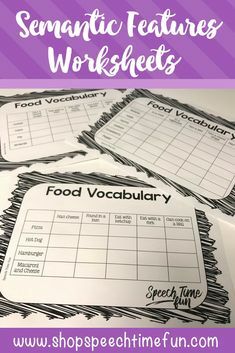 Students can roll to add prefixes or suffixes to root words. Does it make sense? How does the meaning change? Keep rolling until you get correct matches! As you can see..you can target so many goals with these fun dice! 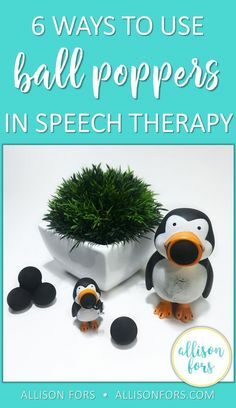 I really love using them and they don’t require much prep! I can take out the dice and use them all day with various groups too! Grab the dice using the link below! 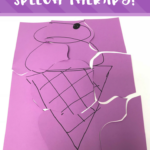 Want more suffixes ideas? CLICK HERE! Want more use what you have ideas?! 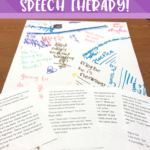 CLICK here to see how I use a hole puncher in speech!